Wedding Etiquette and Advice - 15 Questions Answered. 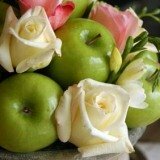 Wedding Favor Idea - Find a Wedding Favor. Wedding Gift Idea - Ideas for wedding gifts. Wedding Theme Idea - Wedding Day Themes. Beach Wedding Ideas - Get Married in the Sand. Wedding Planners Wedding Speech - Ideas for wedding speeches. Wedding Reception Idea - Fabulous ideas for your reception. Wedding Dresses - Everything you need to know about bridal gowns. Wedding In Las Vegas - Get Married In Sin City. About Us - All About Wedding Ideas Guide. Contact Us - Send Us A Message. 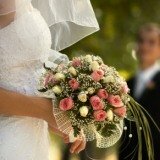 Wedding Resources - Listing of great wedding resources. Wedding Ideas Newsletter - The How To Before I Do. Wedding Ideas Search - Find what you are looking for.